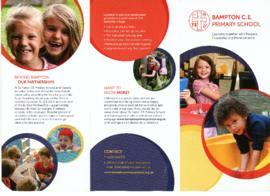 This leaflet explains what Bampton C of E Primary School offers pupils and their aims. 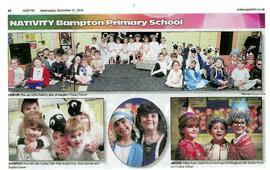 This is the Witney Gazette report of Bampton C of E Primary School Nativity play in December 2017. The children dressed as angels are Noah, Paisley, Paige, Megan and Poppy. 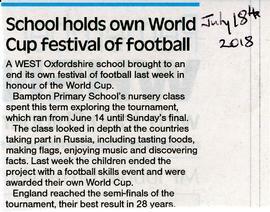 The three kings are Archie, Rory and Ella.